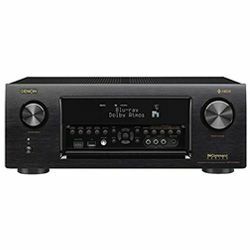 I had a chance to test and compare Denon AVRX2500 vs Sony STRDN1080. This review will help you to choose the model that meet your needs. 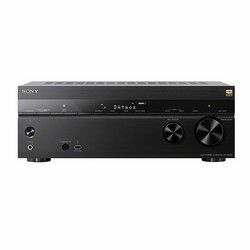 Comparing Sony STRDN1080 vs Denon AVRX2500 in terms of the total power output, we will see that Sony has 1155 W, while Denon has 670 W only. STRDN1080 features the eARC technology to play full-resolution sound, and native the DSD playback feature. Denon supports the DTS Virtual:X technology, and it also can be controlled using the Alexa feature. Both models support the 4K video standard with HDR and HLG. 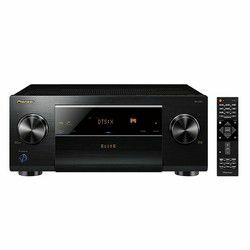 These receivers have Bluetooth and Wi-Fi modules and they are AirPlay compatible. Sony also supports the Chromecast feature and the LDAC technology while Denon supports the HEOS technology. Both receivers support the zone 2 technology. Some customers have troubles with STRDN1080 HDMI ports. Sony has 6 in and 2 out ports versus 8 in and 2 out ports that Denon features. Sony uses the D.C.A.C. EX technology to calibrate speakers to provide you with properly-balanced sound. Denon uses the Audyssey technology to configure speakers. Both technologies are quite precise. Both manufacturers provide you with the microphone. You can still fine-tune your speakers afterward. Sony has two large knobs on the left side, a power on/off button, a simple LCD display and a row of narrow buttons right under the display. It also has additional ports on the front panel. 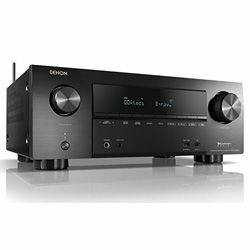 Denon has two large knobs on both sides, a power on/off button, an LCD display in the middle with a row of buttons right under the display. It also has extra ports. STRDN1080 has a modern-looking remote but you may find the label text too small. Overall, both models are easy to control and they look modern. The sound quality is very high – basses are rich and deep, no distortion. Good compatibility with various modern devices. The setup is easy and the calibration is precise – the output sound is well-balanced. Has issues with the HDMI ARC technology – it stopped working. You may find the UI outdated. The total power output is extremely high. The sound is clear and rich without any distortion. Many features, like Chromecast and LDAC. The remote controller may be useless. The receiver has 6 HDMI ports in, while you can access only 4 using the remote. 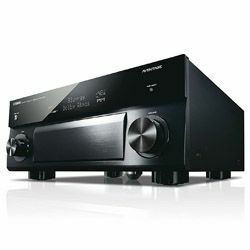 What audio formats do receivers support? What built-in decoders do receivers support? How can you connect receivers? What media content sources can you use?